Finding an ultimate skincare product might not be that easy, however, anything that’s good and close to the perfect is acceptable… You can read hundreds of reviews about a product, in the end, you’ll never know if that product will be good for your skin unless you try it yourself. One that works for many, might be the worst one for you. 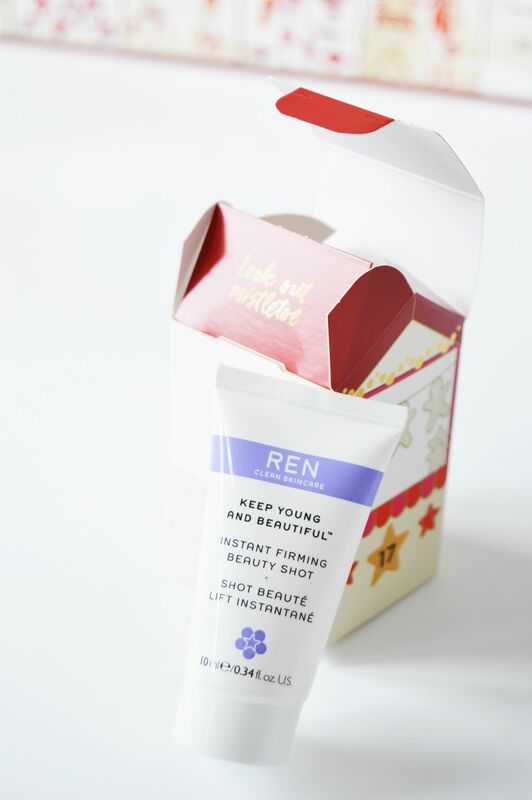 REN Keep Young and Beautiful Instant Firming Beauty Shot is one that I read a lot about… But is it good for me? 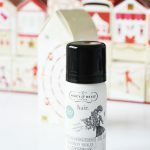 Last year’s M&S Advent Calendar had REN Evercalm Global Protection Day Cream and this year’s advent calendar has 10 ml REN Keep Young and Beautiful Instant Firming Beauty Shot. I had my eyes on this serum for a while so this’s a good timing to give it a try. REN Keep Young and Beautiful Instant Firming Beauty Shot has a gel-serum texture. Skin absorbs it instantly. 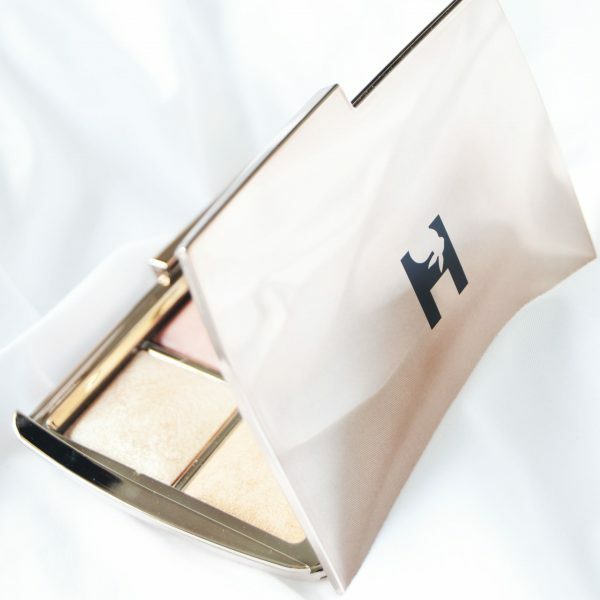 Some gel products can leave tacky feeling, however, this one feels light on the skin and leave the skin feeling baby-soft. It gives the cooling effect which makes you feel refreshed. If you don’t like scented skincare products, this would be a good product to try since it is only lightly scented and the scent doesn’t linger. REN Keep Young and Beautiful Instant Firming Beauty Shot really delivers… You could feel an instant tightening of the skin as soon as you apply it. It gives deep hydration and the skin feels better straight away. I could easily say, this is one of the best REN products I’ve tried. If your skin is on the drier side, this might not be enough for you. After this product, you can always apply something heavier. How to use it? It has really liquidy texture, so just make sure that you only squeeze a little drop. The first time I wanted to use it, I squeezed too much that I applied it all around my face, neck, chest… and I still had some left! You only need a drop or two to use it on the cleansed skin. For intensive care, you can apply the moisturiser after the serum. For the first few tries, I used this as a last step and it gave the enough hydration. Apparently you can even apply it over your makeup, however, I can’t say much about it since I never used it over my makeup. If you apply it over the makeup, gently pat it until absorbed, don’t rub. REN Keep Young and Beautiful Instant Firming Beauty Shot is £36 for 30 ml. In order to see the long-term effects of the skincare products, you need to try the products long term. You can easily see the instant effects of this product. It makes the skin look smoother and skin feels so soft. It provides hydration as well. 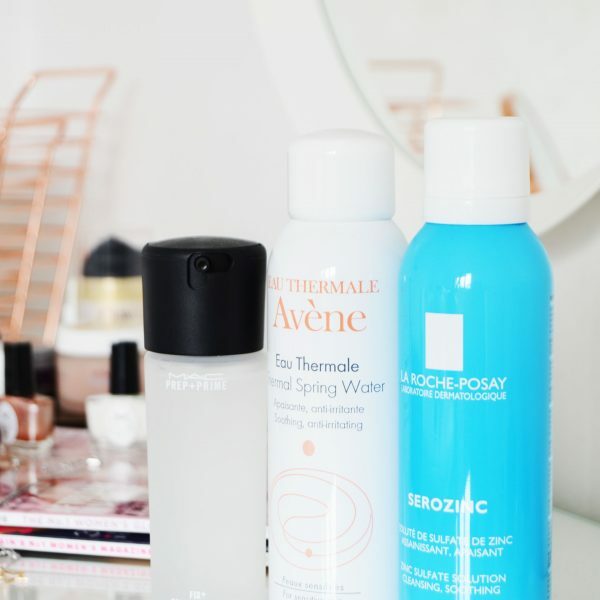 If you are looking for a gel-serum then go for it, it won’t disappoint you. After finishing the sample, this product made its way to my wishlist. Have you tried REN Keep Young and Beautiful Instant Firming Beauty Shot before? What’s your favourite REN product?